The Bettendorf office sales team of Mel Foster Co. welcomes you to our neighborhood. As one of the leading real estate companies in Bettendorf, the Quad Cities and surrounding area, we are dedicated to providing you with comprehensive marketing and technology services, including thousands of property listings, searchable open houses, email alerts and updates, financial calculators, market demographics and reports, buying and selling tips and more. 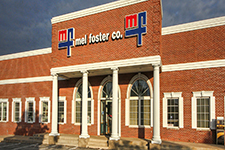 The Mel Foster Co. Bettendorf office has six builders in-house and represents many more! Contact any of our agents to set up a FREE consultation with one of our Builders. We can also guide you to Subdivisions and available lots. When you can't find your Dream Home...Build it!!! Email Bettendorf@melfosterco.com to start the process! !